As plants grow, they remove carbon from the atmosphere. As plant matter decomposes, carbon cycles back into the atmosphere. If, however, plant-based materials are instead pyrolised—if they are heated in the absence of oxygen—then the carbon is instead transformed into a stable form of mineral carbon: Biochar. Biochar strongly resists the decomposition processes that re-cycle carbon back into the atmosphere. If long-term carbon sequestration was biochar's only benefit, then the urgency to mitigate climate change would be, in itself, sufficient reason to make as much biochar as possible. But there are far more benefits in this story . . .
Biochar is a climate change solution: it keeps carbon out of the atmosphere and locks it into the soil, long-term. Biochar can filter nutrients to enhance water quality. Biochar regenerates soil: it offers excellent habitat for soil life; it improves soil structure; it reduces the need for external inputs. The biochar branch of Slow Farm will provide multiple livelihoods and ecological outcomes. 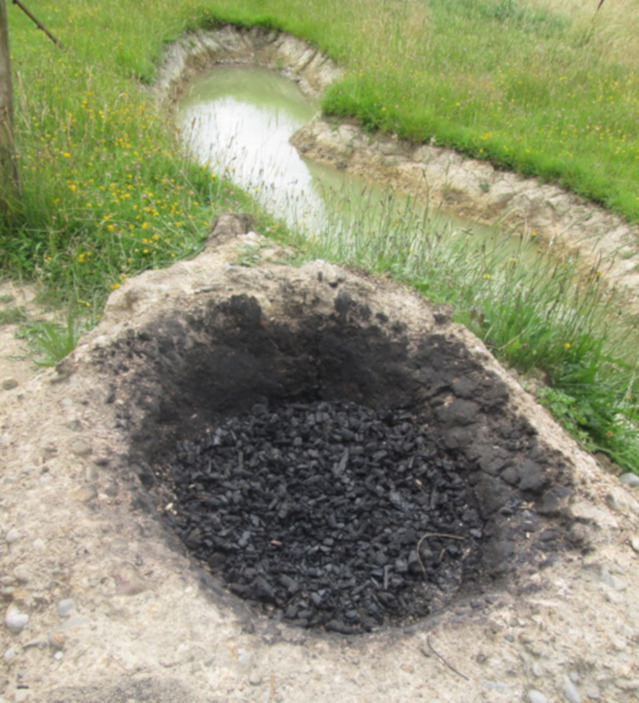 Biochar is a durable form of carbon that changes very little in the presence of chemical and biological activity (recalcitrance). Ages for black carbon in some grassland soils have been reliably pegged to > 7,000 years in the US Midwest, and > 12,000 years in Russia. 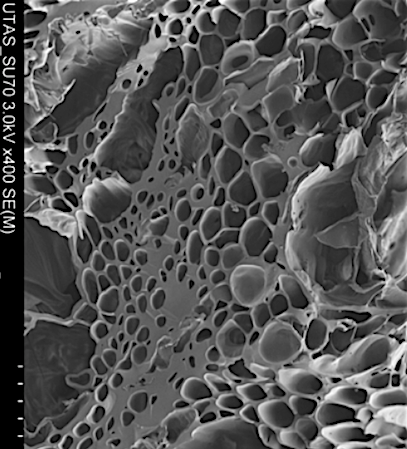 Biochar's microscopic pore structure provides immense internal surface area and optimum habitat for soil microbiota. 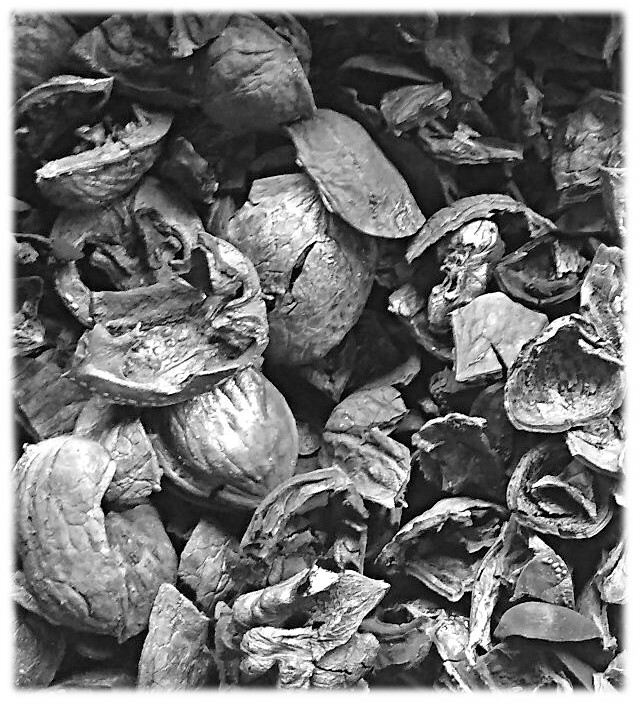 This porosity makes biochar an ideal amendment for increasing soil aeration and water retention. High cation exchange capacity gives biochar superior adsorption qualities and the ability to bind and retain ionic nutrients. Soil microbiota increases the availability of these nutrients for plant roots.